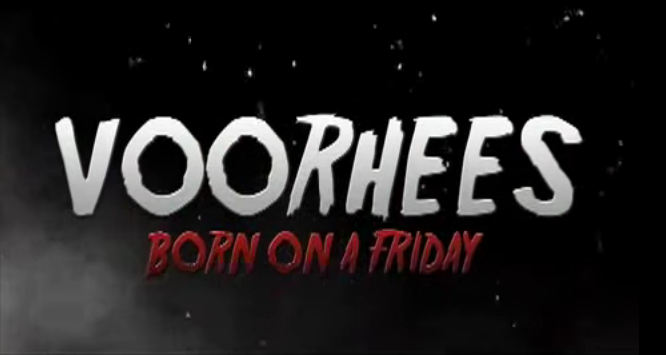 Director Chris R. Notarile has created quite a spectacular little short film based on the day that Mrs. Voorhees learns of her son, Jason's death and how she then takes her revenge. The goal of this short film is to examine Mrs. Voorhees reaction to the drowning and the creation of her split personality. One as herself and the other as Jason. Chris takes the approach to Jason's drowning from Freddy vs Jason, for which he even uses a small clip from that movie for Jason's death. That version of the drowning has Jason being pushed into the water by other campers, rather than Jason drowning while swimming in the lake. As such, this new fan film has Jason's mother preparing a birthday party for Jason away from the camp rather than attending the camp as the cook. Set in 1957, we meet a young Mrs.Voorhees who, on the day of her son's birthday, learns that he drowned in Crystal Lake at the hands of some very mean children and several negligent counselors. One year later, an enraged Mrs. Voorhees hunts down her first victim to have her revenge for the demise of her son.... Jason.